« Soredemo Machi wa Mawatteiru Ep. 1: Carefree, funny, different? The World Only God Knows Ep. 2: ULTIMATE CUTENESS!!! Before starting the summary for this ep, let me mention this: This show is the cutest show I’ve ever seen so far. 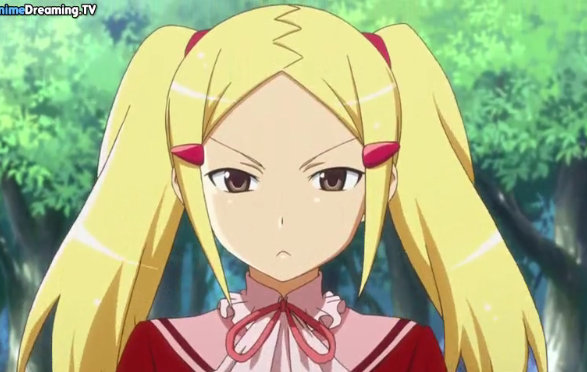 Going back on last week’s episode, we learn this week that Elci will be pretending to be Keima-san’s sister at school. 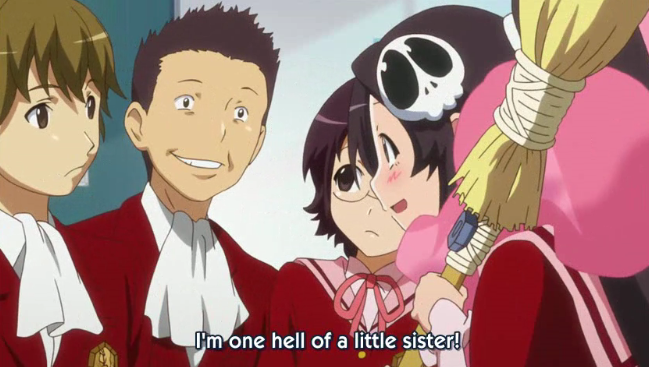 With lies and a letter to Keima’s mom, Elci is now living with Keima, and a lot of little sister-brother things happen. As Keima is discouraged because he now has to live with Elci, they then find another loose soul, Aoyama Mio, who is apparently from a rich family. She is very arrogant, and then Keima finds himself trying different kinds of confessions in order to get her heart (Elci being the test subject). As he actually “confesses,” Mio-san completely rejects him and then Keima follows her secretly to her “rich house”, which turns out to be a run-down apartment. Impression: OMG THIS SHOW IS THE CUTEST THING IN THE WHOLE WORLD. 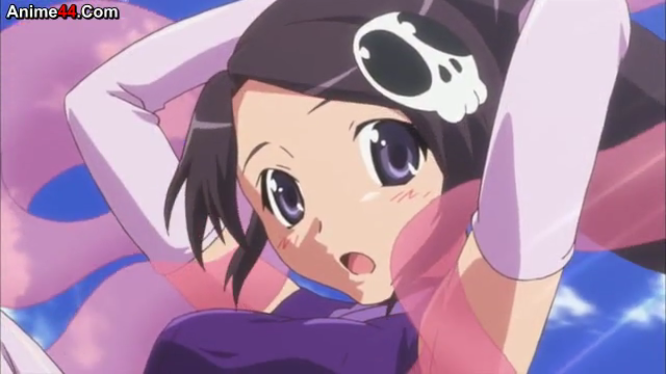 I mean, Elci and Keima get stuck in a bath together and the producers still manage to make it look cute. My first impressions of this show are still completely true, really cheezy and cute without love dramas or perverted thoughts. The humour is still very good, although it’s not the main focus of the show, which I like because sometimes these shows create stupid episodes that don’t mean anything and destroy any kind of plot. 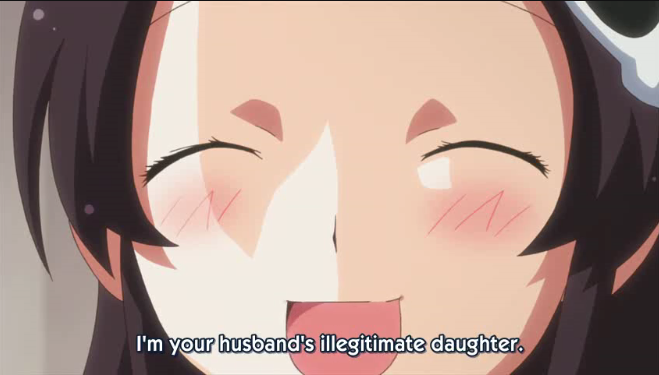 "I'm your husband's illegitimate daughter!" Wow, yay for diplomacy, girl -_-'. The character development is getting better and better. Although Keima’s geek personality doesn’t come out as much in this ep, they focused much more on Elci’s character. We now learned that she is a little sister in her world, and that she always feels down because her elder sister is so great at everything. WOOO!!!!! You’ve got a background story and personality!!! I already like her more now :). Now back to the cuteness: Everything. is. just. so. damn. cute. EVERYTHING. I mean, Elci bites Keima’s finger to have the same blood as him, only so she can meet some sister conditions? Sounds completely weird, but it’s SO CUTE. Same for the bath scene. And the confession scene. And the last bit when we found out where Mio lives. Everything. I love it!! The last scene really made me wanna watch the next episode for the ABSOLUTE CUTENESS put into this show. Cute, cute, cute, I wanna watch more!!! 😀 So yeah, for people that love cute stuff, this show is the best for it. Even cuter than Kimi ni Todoke, really.